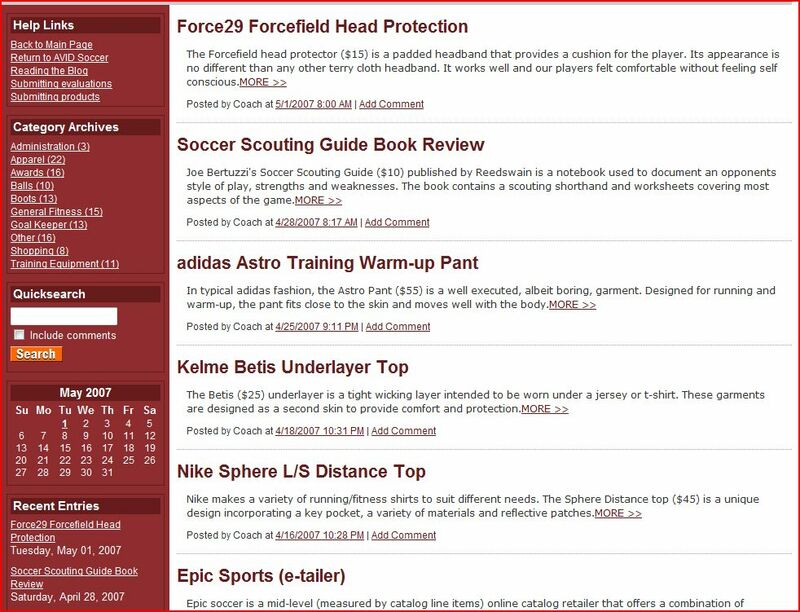 AVID Soccer reviews a variety of soccer related equipment and gear. The blog is broken down into several categories. Among others, there are classifications for Administration, Apparel, Awards, Balls, Boots, General Fitness, Goal Keeper, Other, Shopping and Training Equipment. The page is divided into three main sections. The page header contains an picture of some of our testers and the AVID Soccer Logo. The Article section provides overviews on the main page and the full content of each article after clicking "more"
Listing of categories and the number of respective articles. As new categories and articles are added, this section will change. This is a full text search of the site content. 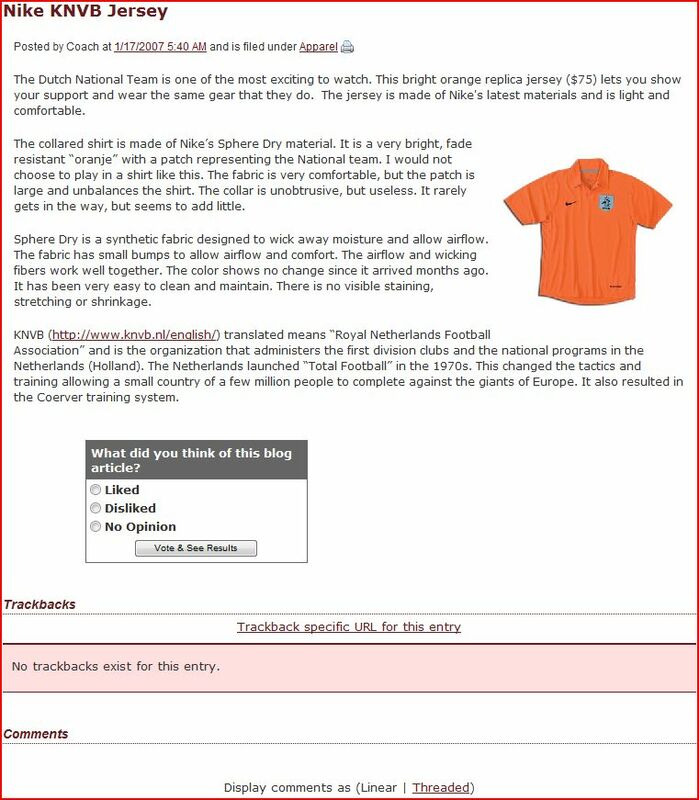 The "Include comments" checkbox includes/excludes this portion of the content. Listing of articles by date published. Underlined/Bold dates have articles, others do not. This section contains the ten most recent articles and the publication dates. Excerpts for the ten most recent articles are listed in the Article pane on the main page. These clips contain the first paragraph or about 100 words of the article. There are links to "More" for the full article; "Comments" for reader opinions; and "Trackbacks" to find the link URL for reference by outside sites. This section starts with information about the article and a link for a page formatted for printing. The next section contains the actual article followed by a voting feature. This allows readers to rate the article and help other readers find the best content. It also allows AVID Soccer to improve. The comments section contains reader feedback. The comments can be viewed either as a Threaded Discussion (grouped by topic) or Linear (chronologically). The final section allows readers to add comments, subscribe to this article and subscribe to the blog.